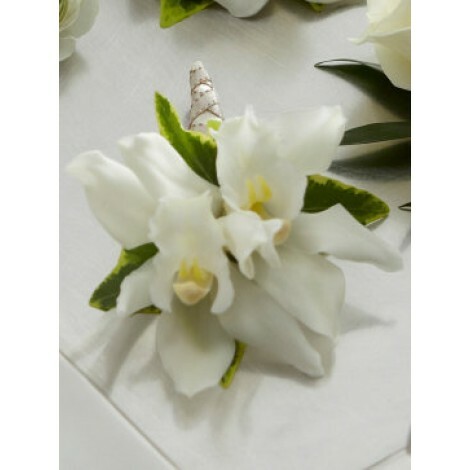 This quite simply stunning mini cymbidium orchid boutonniere is stylish, simplistic and sophisticated! This beautiful boutonniere is a true taste of the tropical! 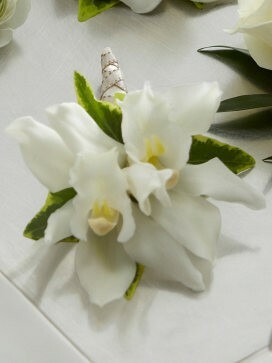 This simple, yet effective boutonniere features; two blooms of white mini cymbidium orchids accented with variegated ivy. Approximate dimensions; 5"H x 4"W.